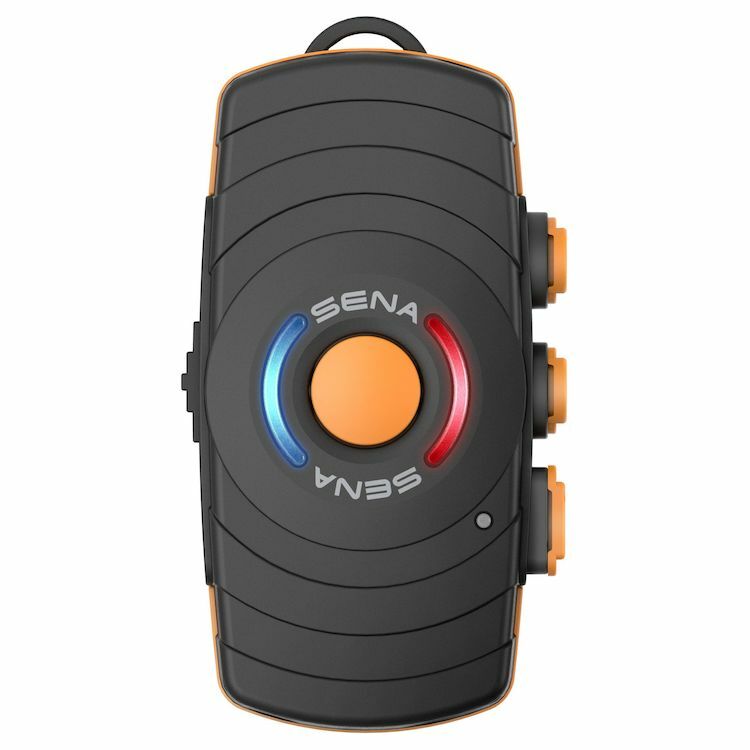 The Sena FreeWire is a wireless transmitter that enables your bike's infotainment system to link up with Bluetooth communicators. This opens up the world of CB radio, on-board GPS navigation and tunes to be streamed directly to your Bluetooth headset. Simply mount up the transmitter on your handlebar using the supplied kit, connect the unit to your bike, then pair with your communicator. Cut that umbilical cord! When you connect the Sena FreeWire to your Harley-Davidson, you can utilize all of the bike’s infotainment features that you love – wirelessly! Communicate via CB radio, hear turn-by-turn directions from the GPS system, rock out to your favorite radio stations and so much more – all through your Bluetooth headset. Use an additional FreeWire for your passenger to talk over the motorcycle’s internal intercom system – All with the wireless freedom you’ve been longing for. Thanks to the FreeWire, you can wirelessly connect to your Harley Davidson infotainment system while also being able to utilize the various capabilities of the Sena 20S Bluetooth headset. Enjoy a 2 km intercom between up to 8 riders, HD Audio, Voice Command, Group Intercom, Advanced Noise Control, the Sena Smartphone App and so much more. The FreeWire also has a 3.5mm AUX port which allows you to directly plug in additional accessories such as a GPS device, radar detector, non-Bluetooth MP3 player and more – allowing you to hear them alongside the motorcycle’s infotainment system through your Bluetooth headset speakers. The FreeWire comes with two different mounting accessories, a handlebar mounting kit as well as a mounting cradle for on the bike itself, to conveniently secure the device during your ride. The unit automatically powers on/off with your motorcycle’s engine for maximum convenience, and for longer rides you can easily charge your FreeWire while using it with the included cigarette charger or Sena Powerbank.